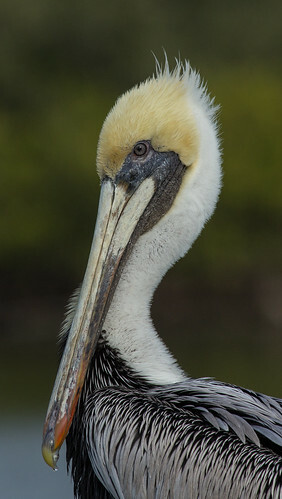 It occurs to me that the Brown Pelican should also be on my target list, so I just added it. This splendid bird, the state bird of Louisiana, was wiped out of that very state in the 70s and in critical trouble in much of its range. Its comeback has been dramatic and wonderful, but also tenuous. When I was driving between Titusville and New Smyrna Beach the day before the pelagic trip, I stopped at a few places along the Great Florida Birding Trail. 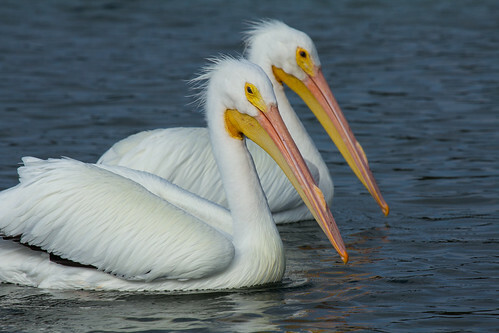 People were feeding pelicans at one stop, giving me great opportunities to photograph one cooperative individual as well as these American White Pelicans. This entry was posted in Uncategorized on February 7, 2013 by Laura Erickson.